The controversial ‘exploding’ hoverboard was a hot topic for a long time, so it’s important to weed out the good from the bad. 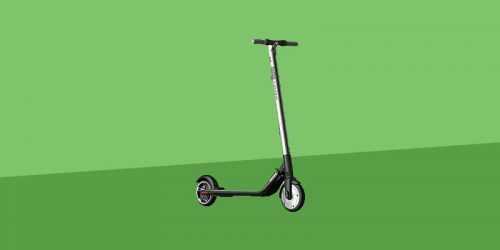 That’s what makes the Razor Hovertrax so interesting – Razor are one of the biggest scooter manufacturers in America, both electric and manual, with products like the Razor A5 Lux impressing us massively. 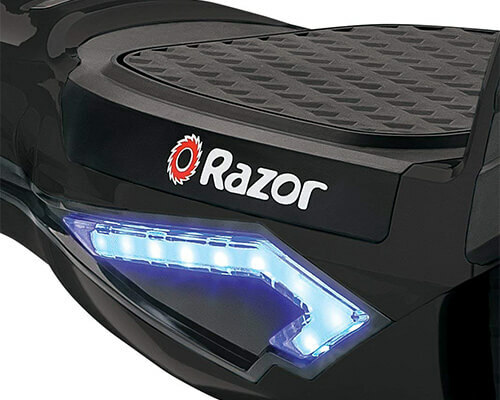 Razor have produced a few hoverboards now, the Hovertrax 1.0 and the 1.5 being this product’s predecessors, and for the most part they’ve gone down very well with the public. So how will the Hovertrax 2.0 fare? Razor have equipped the Hovertrax 2.0 with a steel frame and a shatter-resistant body. 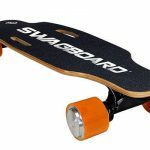 The wheels have sizable looking fender bumper protection, and there are two strips of LED lights on the front of the board which turn on and off in response to the foot-controlled steering. The rubber foot platforms are designed to be anti-slip so I felt a lot more confident jumping on without fear of flying off! 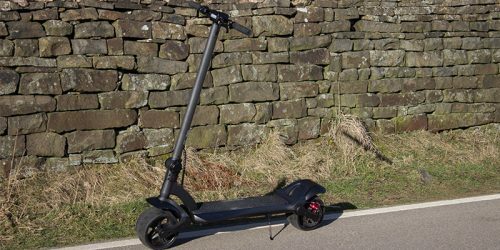 The board can self-balance using Razor’s exclusive EverBalance technology, so as soon as you turn it on it’ll shift into an upright position ready to go – and when you do actually get this thing going it travels at a top speed of 8mph. The 36V lithium-ion battery is easily removable and I really appreciate that, this means you don’t have to worry about breaking out the toolbox if anything were to happen! The Hovertrax 2.0 provides a good value for money hoverboard that is well built and has all the essential features you need. The Razor Hovertrax 2.0 is UL2272 certified, UL stands for ‘Underwriters Laboratories’ and has been around for over a century, specifying in product safety testing. 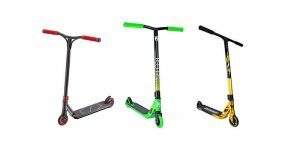 They produce among other things safety certifications specifically for hoverboards and self balancing scooters. In other words, the Razor Hovertrax 2.0 is perfectly safe to ride! The Hovertrax 2.0 comes with a manual and a charger, but if your battery dies or you want to purchase multiple batteries, the 36V Lithium-ion battery is easily replaceable, as it has a quick-release setting that means you can remove it without the use of tools or any unscrewing at all – it just pops out. 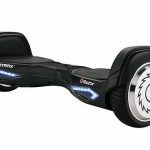 The Hovertrax utilises the EverBalance technology to stay upright as soon as you turn it on, this is due to the gyroscope inside the board working alongside the tilt sensors in each wheel. 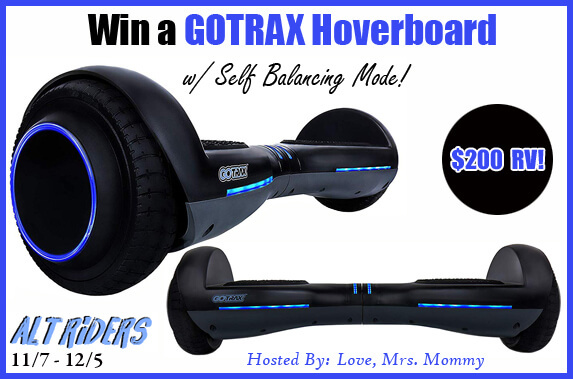 This also means that if at any point you take a harsh fall off your hoverboard, the Hovertrax 2.0 will self-balance and hopefully prevent as much damage as possible from happening to your board, rather than spinning out. Hoverboards are packed full of safety features due to the initial hesitation when stepping onto the board, one of these safety features is the anti-slip rubber covering the foot platforms, creating friction and allowing for reliable grip between your shoes and the board. These rubber platforms combined with the EverBalance technology previously mentioned, work together to 1) prevent any injuries and 2) make the ride as intuitive as possible. An additional feature on the board are the aluminium hubs on each wheel which display the Razor logo. There are also bright strips of LED lights on the front of the board, these lights turn off in accordance with which footpad is being controlled. 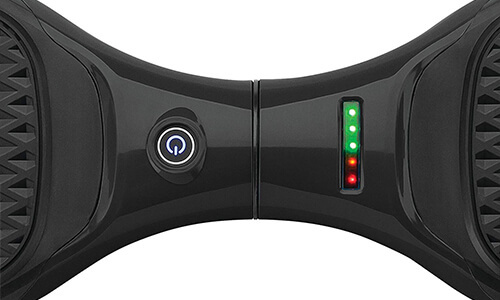 This hoverboard also has a battery power indicator on the centre of the deck. 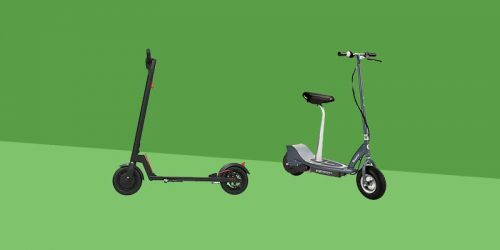 These days riding modes is definitely something that I’d expect to come with a hoverboard, and Razor is no exception – they have both training and normal modes to help you ease into your ride. 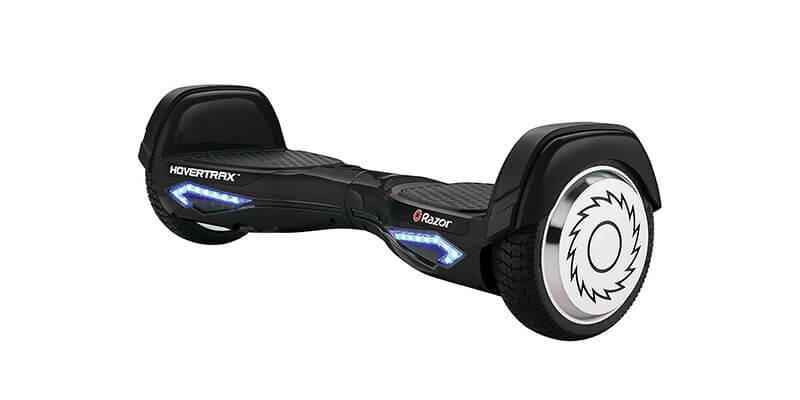 The Hovertrax 2.0 has a steel, shatter resistant casing to prevent any damage done to the board when crashes happen. This also works well to prevent any scratches appearing if you bump into walls or furniture. The rubber tires have aluminium hubs that look pretty industrial, and they protrude from the wheels a bit, meaning the rubber wheels may be partially protected if you hit something when riding. There is also rubber fender bumper protection so if you do manage to send your hoverboard flying, these should add some protection. 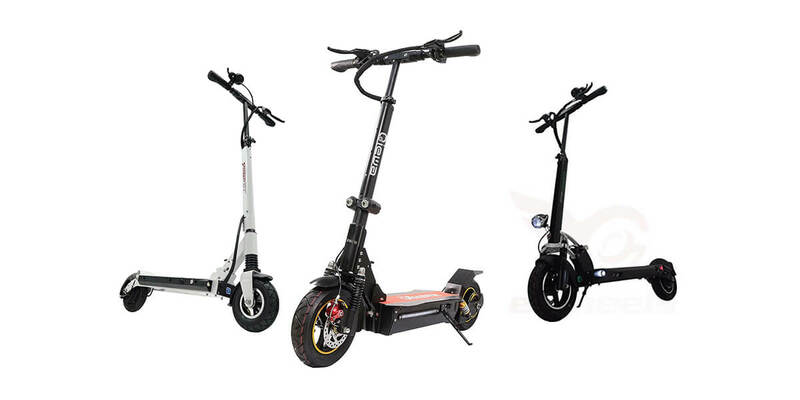 All these features and the solid build quality mean that the Hovertrax 2.0 can hold a maximum rider weight of 220lbs. The Hovertrax 2.0 has a silent dual-hub motor, with one hub situated in each wheel. It has a 135 Watt output with a 350 Watt peak output. 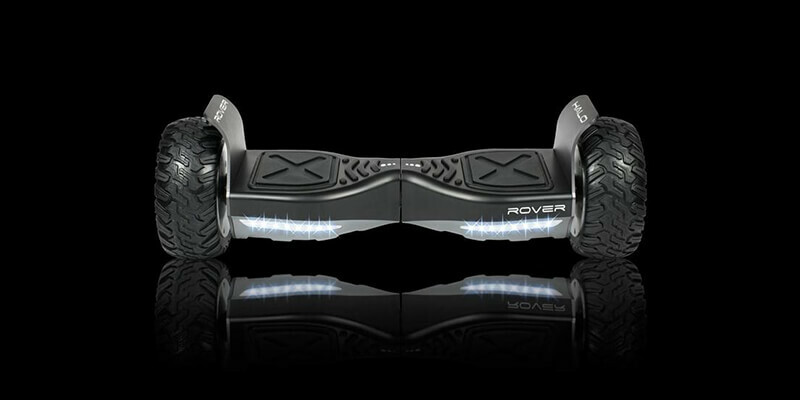 Many people have asked if these hoverboards can be taken outdoors, this is a simple answer for me: no. Almost every hoverboard is designed with small tires and no suspension at all, this means that if you ever hit a large bump or sizeable crack, you could be sent flying. If you’re looking for something that can be taken off-road, we have some recommendations which have much chunkier tires. Check out some of the list below. 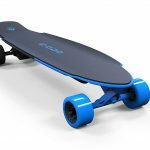 When the board is turned on its EverBalance technology means it will sit upright immediately, and it will stay that way when you’re riding. With its 135 Watt dual-hub motor the Hovertrax 2.0 is not as powerful as some other hoverboards, but can easily compete with them in terms of smoothness and responsiveness. Due to the sensors that detect pressure from your feet being inside each wheel, the hoverboard is expertly able to sense your desired direction from either foot and respond immediately. With a top speed of 8mph (10km/h), the Hovertrax may seem like a child’s toy but I can safely say I felt like I was going fast enough when I took it for a ride. 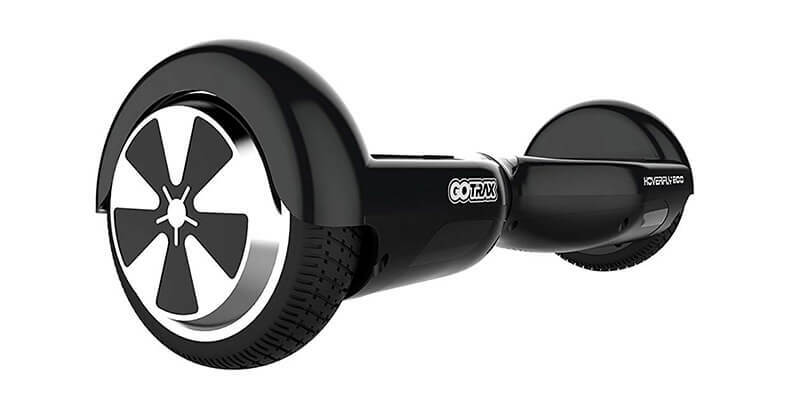 However, with a speed that is a bit lower than other boards out there, and the safety features included, the Razor Hovertrax 2.0 has made it onto our list of the 7 Best Hoverboards for Kids. Razor claims that it has about 60 minutes of continuous riding, and as far as I’m aware that seems about right. They have also stated that if you prefer this to go on for longer, you can swap out your 36V lithium-ion battery for an LG branded one, which is easy enough to do with their quick-change battery packs! 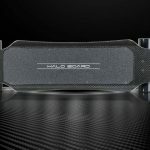 Brand Recognition – Razor is a respected company that produces plenty of amazing products alongside their hoverboards, on top of their UL certification I felt like I was getting a decent product before I even tested it out. Make sure to check the rest of the website for other reviews and looks at Razor products. Quick Change Battery – I think this is great because it means the fun doesn’t stop with one little hiccup like the battery dying, you can make the battery swap yourself and in record time! Good Maximum Rider Weight – At a recommended 220lbs this board will be able to handle almost all children and teenagers and the majority of adults. Wheels – Many hoverboard riders love to take their product outside onto smooth sidewalks and roads, which isn’t much of a problem until they hit a large crack, then they could potentially lose stability and fall off. For this reason I’d say many companies need to make sturdier wheels if they won’t advise against going outside. The Razor Hovertrax 2.0 has the backing of a huge brand that many Americans (and many countries around the world) know and trust. I’m happy to say they didn’t fall short – this hoverboard is reliable and responsive, with some great basic features that come with it. I’ve heard accounts of the battery life lasting only a few months, but I personally can’t comment on that. It’s not as fast or as powerful as some other hoverboards on the market, but I don’t think high speeds are what hoverboards were designed for. Overall, you’re getting a solid ride and a lot of fun at a decent price. My hover trax 2.0 seems to shake, or flutter, when I go at higher speeds. The manual says something about the board being able to go faster than 8 mph but that you shouldn’t do that. Is that what is happening or do I have a defective board? The shaking or fluttering at higher speeds is very noticeable and doesn’t happen on a friends hover-1 so it’s not me or my skill. Hi Thorsten, that’s unfortunate. I’d suggest talking to Razor about any problems you may have with the board! Hopefully they can be of help.